Attention! Imminent Execution of Iranian Activist!!! Dr. Forood Fouladvand, a self-styled monarchist who disappeared along with two associates on the Turkish border with Iran on Jan. 17, 2007, faces imminent execution by the Iranian authorities, Iranian exiles in London and former colleagues tell Newsmax. According to these sources, Fouladvand will be executed in the coming days, on trumped-up charges of supporting terrorism inside Iran. "He is the Robert Spencer of Iran," one supporter in London said, referring to a U.S. expert of Islam who has used Islamic texts to warn the West about the violent side of orthodox Islam doctrine. “Dr. Fouladvand has studied Islamic texts in the original Arabic and has been using them to convince Iranians to abandon Islam on radio and satellite television broadcasts from London,” he added. 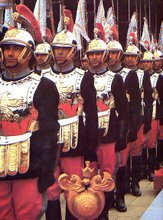 Fouladvand heads a group called Anjoman-e Padeshahi Iran (API), the Kingdom Assembly of Iran, which advocates restoration of the constitutional monarchy abolished by the Islamic Republic in 1980. Unlike many monarchists, however, he is not a supporter of Reza Pahlavi, the son of the former shah, but believes that Iranians should restore the 1906 constitution that imposes real limits on the power of the monarch and guarantees a form of parliamentary rule. Fouladvand used his satellite television broadcasts into Iran to advocate the overthrow of absolute clerical rule under the Islamic republic. A colleague in Europe, who contacted Newsmax by phone on Thursday, said the group has received detailed information in the past three days confirming that Fouladvand was kidnapped in Turkey by Iranian government agents and is now being held along with two colleagues in an Iranian prison. “We have been told he could be killed very soon, and we are appealing to Amnesty International and to other human rights groups for help,” Fouladvand’s colleague said. In January 2007, Fouladvand traveled to Romania and then to the Hakkiri mountains along the Turkish border with Iran, apparently lured by promises from individuals claiming to be his supporters who were either working for the Tehran regime or had been co-opted by them, Iranian exile sources told Newsmax. These would-be supporters claimed to have blown up the Sivand Dam in August 2006, which if completed as planned by the regime would have destroyed the ancient Persian city of Pasargard. 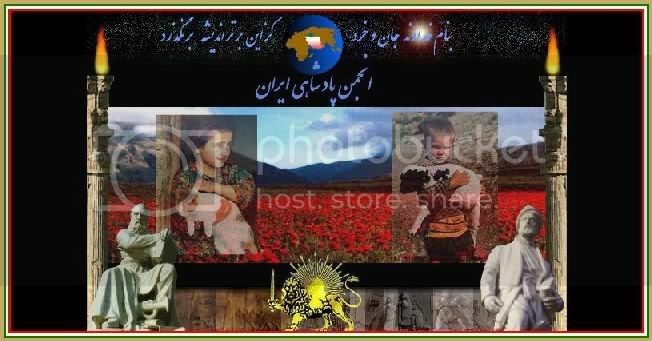 Iranian opposition groups have made common cause in recent years to preserve Persian heritage sites, Persian names, as well as symbols of Iran’s pre-Islamic Zoroastrian culture. Many Iranians have rejected the Islamic names they were given by their parents, at the instigation of the state, in favor of Persian names. For example, Foulodvand’s real name is Fatollah Manouchehri, but he cast aside his Islamic/Arabic first name (which means “Allah’s victory”) in favor of the more Persian-sounding Forood. Fouladvand set off for Turkey in the company of two colleagues, whom his associates confirm were kidnapped with him. The associates identified the other two missing persons as an Iranian-American dual national, Nazem Schmidt (also known as “Simorgh”), and an Iranian-German dual national, Alexander Valizadeh, who called himself Kourosh Lor. 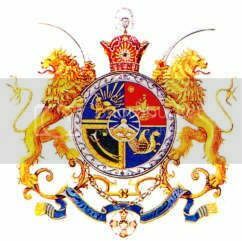 (Kourosh is the Persian name of the emperor Cyrus the Great who released the Jews from captivity in Babylon; “Lor” is the name of a famous Iranian tribe from southwest of Tehran, long-known for its opposition to the Tehran regime). Until now, the Tehran government has not acknowledged the arrest of Fouladvand or his two colleagues. But recently, they accused his group, the Kingdom Assembly of Iran, of having carried out the bombing of a mosque in Shiraz on April 12, that killed 12 persons and injured dozens more. In initial press statements, the regime said that explosives on display devoted to the Iran-Iraq war had caused the blast. Only later did they try to blame various opposition groups. It is well-known inside Iran that the bassij militia, nominally under the leadership for the Revolutionary Guards, stockpiles weapons and munitions in mosques around the country to use to counter anti-regime demonstrations. In recent weeks, regime officials have tried to pin the blame for the Shiraz mosque explosion on a variety of opposition groups. “The blast ... was caused by a bombing by a terrorist group with links to Western countries, especially Britain and America,” intelligence minister Gholam Hossein Mohseni-Ejeie said on May 9. On May 17, Ejeie changed tact, this time alleging that the bombers were linked to a British-based television station run by Fouladvand. “My guess is that it’s highly unlikely – close to zero percent chance – that Fouladvand’s organization was behind the Shiraz bombing," said Texas-based Sardar Haddad. “It may be that the regime wanted to use the bombing to close his case before they executed him, claiming that they had videotape or a transcript of him confessing” to plotting the attack,” he said. The allegation that Fouladvand’s organization had support from the United States or Britain is particularly ludicrous, given the difficulty Fouladvand has encountered in Britain in recent years. After staging a number of high-profile protests against the regime in Europe, British authorities raided Fouladvand's offices in London on June 17, 2005, the day of the Iranian presidential elections, severely beating him and seizing documents and computers. According to the official police report, Scotland Yard issued a search warrant under the Terrorism Act of 2000 on the grounds that "Fouladvand has been been campaign for the overthrow of the Iranian government via satellite broadcasts" and was "raising money to facilitate this action" on television. In addition to beating Dr. Fouladvand and several supporters, and confiscating computers and other documents, the British authorities seized a briefcase containing thousand of dollars in cash which they claimed had been raised "for the unlawful overthrow of the Iranian government." So far, the British government has not apologized for its action or returned the money. No one from Fouladvand’s family or his organization has heard from him since his cellphone went dead on Jan. 17, 2007, in Turkey. The local police found his rental car with broken windows and other signs that it had been attacked. However, members of his organization say that they have been approached by an individual in Iran who has demanded large sums of money in exchange for a video-tape of Fouladvand in an Iranian prison. Until now, the group has refused the exchange. The Department of State refused to comment on the detention by Iran of U.S. citizen, Nazem Schmidt, citing Privacy Act restrictions. “Unless an American citizen has delivered a signed Privacy Act waiver, we cannot say anything whatsoever about them,” a spokesman told Newsmax. Unoffical translation of HIM Reza Pahlavi II of Iran's warning to the leader of the occupational Islamic Republic. The official persian version can be found here. For a persian audio commentary (by Nader Sadeghi) please see here. A word of warning to Ayatollah Ali Khameini and his collaborators. It has been some time that, like the majority of my fellow countrymen, I have regarded your oppressive and selfish rule without any lawful legitimacy and ethical credibility. If there was any credibility to be gained from the unwise participation of the Iranian people at the beginning and continuation of the autocratic revolution that you and your collaborators brought upon Iranians like a grave nightmare, then even the slightest standing with the people is all but lost. Validity and legitimacy of every government is conditioned by the judgement of its citizens and more importantly it depends on it capabilities to comply with the legitimate wishes of the people and their civilized ideals. A government that is not devoted in answering to its citizens' issues and attending to their problems is as illegitimate as a foreign occupancy. Without a doubt, the ramification of a 30-year autocracy has resulted in such a regime in our beloved country. You would be hard pressed to find one person in Iran , or even the world, who is not aware of your incompetence when addressing the peoples' wishes. In almost 30 years you and your collaborators have used oppression, intimidation and fear in an attempt to deny the peoples right to self-expression and freedom of speech. In a prison as big as Iran there is neither the freedom of press that might reflect the peoples voice nor is there any independent political parties which can represent and defend the different interests of the diverse issues and opinions of the people. Factory workers and government employees who during these difficult years have suffered most, have not had the right to establish any kind of professional syndicates or trade unions and have not had the right for peaceful gathering and demonstrations in protests against a government that has brought misery and degradation upon them. When defending their national interests and trying to express the bitter truth of their lives, millions of Iranian students, these true representatives of the nation, these wise and intelligent spokesman of Iranian people face torture, imprisonment and death. The courageous and lionhearted women of Iran , deprived mothers and daughters of our motherland have paid the same price just for standing up for their rights. When these brave women have tried to defend their fundamental rights, the regime has accused them of crossing the established medieval lines. Even the righteous and moderate clerics who have learned about your role in destroying the people's religious beliefs have realized that any criticism of protests against you would not survive your wrath and retaliation. The institution of government and system of elections that should represent and translate the true will of the masses has been reduced to instruments of shame to deceive the people. In the absence of diverse political parties, any free press and an independent judicial system the Iranian people have not benefited from your election system any more than the people of the former Soviet Union did under Stalinism. It is here, Mr. Khameini, that we should refer to the second reason why your credibility and legitimacy as a supreme leader must be completely stripped. It is because of your incompetence and those before you in failing to provide the people of Iran with even the minimum economic requirements. The catastrophic scale of this enormous failing is highlighted more when during this time Iran has had a 30 overflow of oil income. In other words in addition to violating the Iranian peoples rights and freedom and, despite accruing an unexpected windfall of wealth, your regime has dragged a prosperous and proud pre-revolution Iran, which had been the envy of its neighbouring countries, down to the depths of economic bankruptcy and brought nothing but life draining unemployment and inflation upon its talented and hard working people. All over the world there are not more than a handful of regimes like yours, who treat their citizens as you do, depriving them of their fundamental human and economic rights. Not surprisingly, amongst those handfuls of regimes are some of your international allies, namely Syria , Sudan , and North Korea . However, Mr. Khamenie, violating Iranian peoples rights and freedoms and bending their backs under the ever increasing weight of the economic hardship, as important as this is, does not measure up to the dangers and threats facing our country due to your ignorance and warmongering that endangers our security and territorial integrity of our beloved country. The true fact is that years before you and your collaborators came to power, it has always been your vision and highest priority to exploit religion as a lever to interfere in the affairs of Iran's neighbouring countries. In fact written in the introduction of the Islamic Republic's constitution, it clearly states such a purpose and in reality a more fitting and accurate definition of that constitution should be (a deed for the denial of the peoples' rights). Your pursuit of confrontation and hostility to divert Iranian public opinion has a long history. 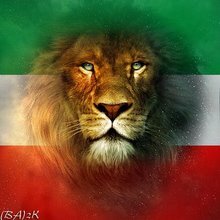 Right from the commencement of your dominance you have ridiculed Iran's renowned and historical heroes, thus confirming your animosity towards ancient Iranian culture and identity, which has been the very foundation of the Iranian peoples solidarity and strength for thousands of years. Right from the beginning by destroying Iran's well-equipped armed forces and the executing its commanders, you had provided the opportunity for the Iraq government to attack our beloved country. Right from the beginning you have suppressed all ethnic and religious minorities, terrorizing and attacking non-shia believers, thus weakening Iran's age-old peaceful co-existence and national solidarity and strength. With the intention of dominating Iraq and the reaching Quads, you prolonged the war with Iraq at the heavy cost of sacrificing hundreds of thousands of youths and teenagers and foolishly squandered the countries enormous wealth and resources. The war lasted for so long that Iran , the victim itself, became the aggressor in the international community and United Nations. By violating one of the oldest and most obvious principles of International law, you occupied the American Embassy and arrested and tortured its diplomats and by forcing the United States to cut its relations with Iran , you brought unprecedented and costly economic and political hardship upon the Iranian people. With direct and indirect interference into the affairs of the Iran's neighbouring countries such as Iraq, Lebanon, Palestine and Afghanistan; and by creating propaganda and providing military and financial support to the most hard line and fierce enemies of freedom and harmony in these societies, not only have you put the name of Iran in the world community alongside terrorists and criminals but you have added a number of big and small countries to its list of enemies. And if by now some of the worlds naive people have not yet realized your regimes direct role in the carnage and chaos it has created within the lands near and far, then they can take heed of your old accomplice Mr. Mohammad Khatami's clear admittance to this. However by provoking international confrontation and animosity toward Iran , you are trying to accomplish your main goal of distracting Iranian public opinion. Hence, under the pretext of having nuclear energy for peaceful use, instead you plan to obtain weapons of mass destruction so that once again Iran becomes the target of aggression and attack. Because of your insistence in pursuing your goals, today our dear country is facing a very dangerous crisis that none of our peace loving countrymen had any role in creating. The wise and foresighted people of Iran neither see their interests in your armed interference in the fate of Palestine , Lebanon and Iraq nor in your animosity toward progressive free societies and frantic persistence in pursuing weapons of mass destruction. Iranians have not forgotten that before the revolution Iran had nuclear competence and the right to use and develop Atomic Energy, alongside the cooperation of the International community, because at that time no country in the world had any fears of the goals and policies of Iran . You and your predecessors' aggressive goals and provocative policies have not only destroyed the atmosphere of trust and harmony but have deliberately turned the majority of the worlds governments into Iran's enemy so that you can have another excuse to suppress the noble people of Iran. Although at the beginning I stated that your regime has no credibility and legitimacy in the eyes of my fellow countrymen, but I should not have even acknowledged you and your regime by writing this letter. However my love for my four fathers land and my concerns for the fate of Iranians, forces me to warn you that if any harm comes to the Iranian people or to our territorial integrity the main responsibility will be on you and your collaborators shoulders! I warn you, that if you cause such a catastrophe your fate will be the same as all those other tyrants who in recent years have stood trial in the International courts accused of crimes against humanity. If you don't learn from their fate, if the freedom and well being of Iranian citizens have no place in your heart and your mind, then at least you should be concerned about the land in which you were born. Today there is an opportunity to ask for the peoples' forgiveness but be aware that if you do not accept the peoples' wishes then their anger will crush your pharaonic rule and in the end will place you to answer for 30 years of depression and injustice. For accompanying article CLICK HERE. Radio Farda interview can be listened to HERE.